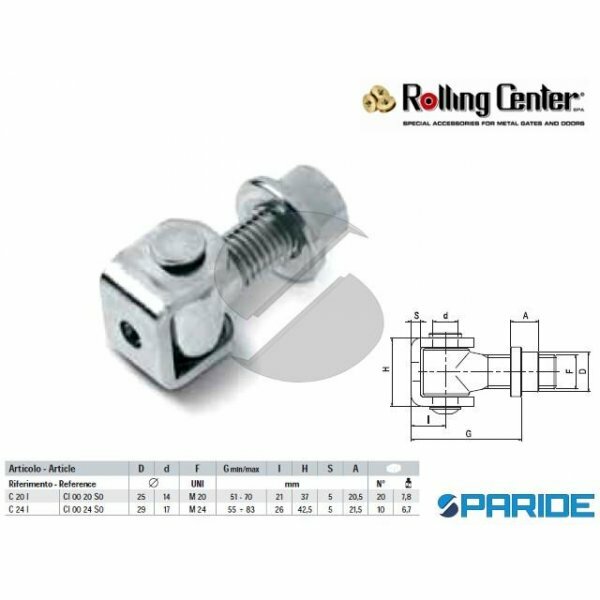 ASTA SUPERIORE 81 PER PORTONE ROLLING CENTER. 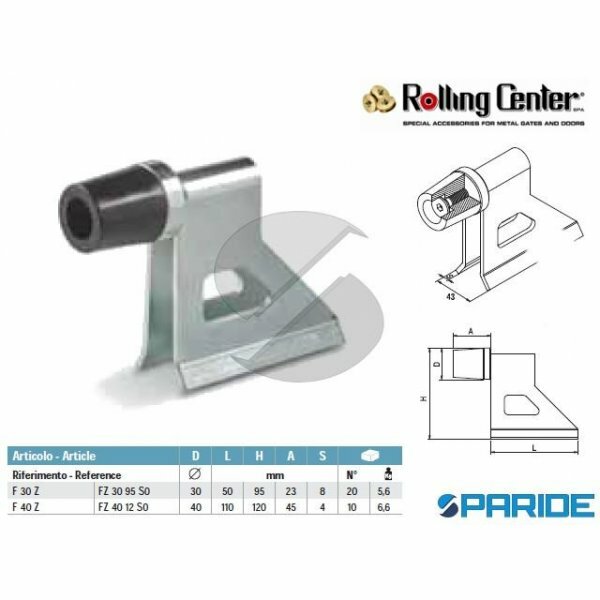 MISURE ASTA SUPERIORE 81 PER PORTONE ROLLING CENTER: LUNGHEZZA 4800 MM, LARGHEZZA 25 MM, DIAMETRO 10,5 MM, SPESSORE 10 MM. 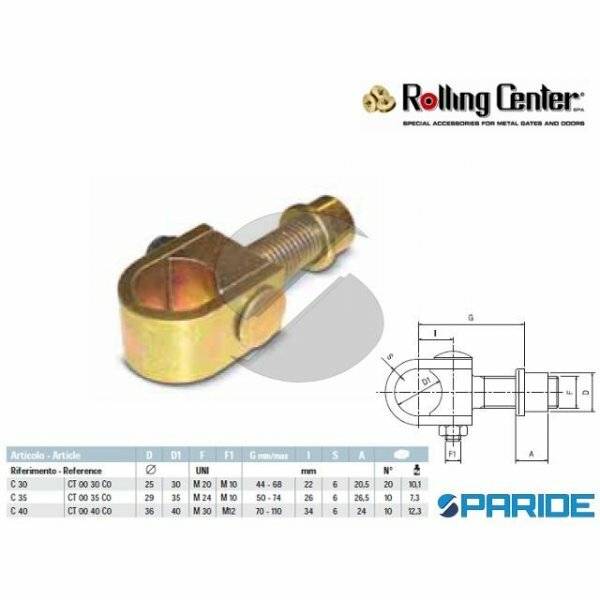 CODICE ASTA..
ASTA SUPERIORE 82 PER PORTONE ROLLING CENTER. MISURE ASTA SUPERIORE 82 PER PORTONE ROLLING CENTER: LUNGHEZZA 4800 MM, LARGHEZZA 30 MM, DIAMETRO 10,5 MM, SPESSORE 10 MM. 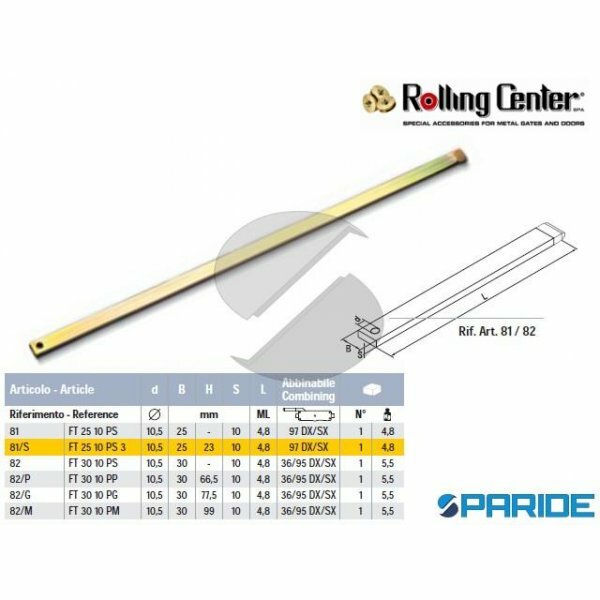 CODICE ASTA..
ASTA SUPERIORE 82G PER PORTONE ROLLING CENTER. 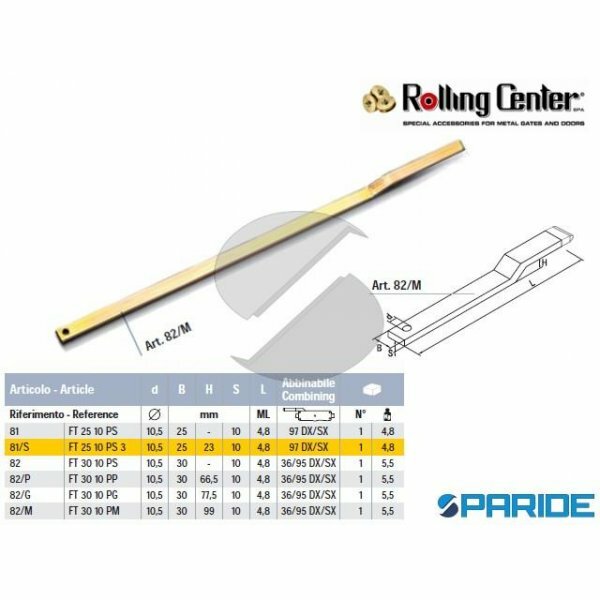 MISURE ASTA SUPERIORE 82 G PER PORTONE ROLLING CENTER: LUNGHEZZA 4800 MM, LARGHEZZA 30 MM, DIAMETRO 10,5 MM, SPESSORE 10 MM, ALTEZZA ..
ASTA SUPERIORE 82M PER PORTONE ROLLING CENTER. 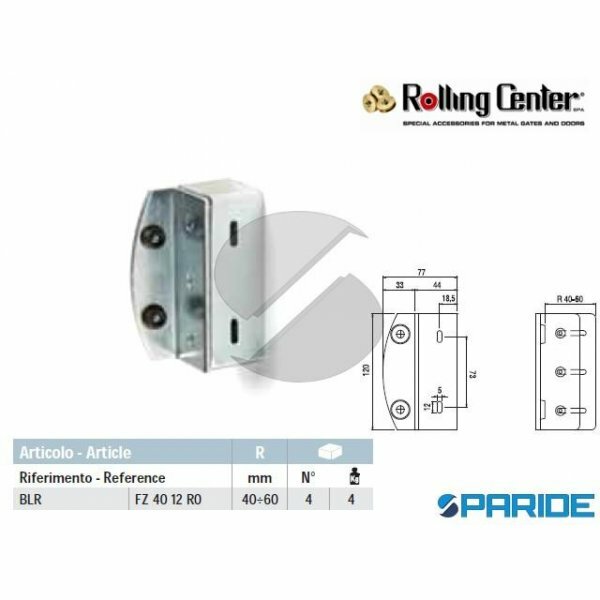 MISURE ASTA SUPERIORE 82 M PER PORTONE ROLLING CENTER: LUNGHEZZA 4800 MM, LARGHEZZA 30 MM, DIAMETRO 10,5 MM, SPESSORE 10 MM, ALTEZZA ..
ASTA SUPERIORE 82P PER PORTONE ROLLING CENTER. 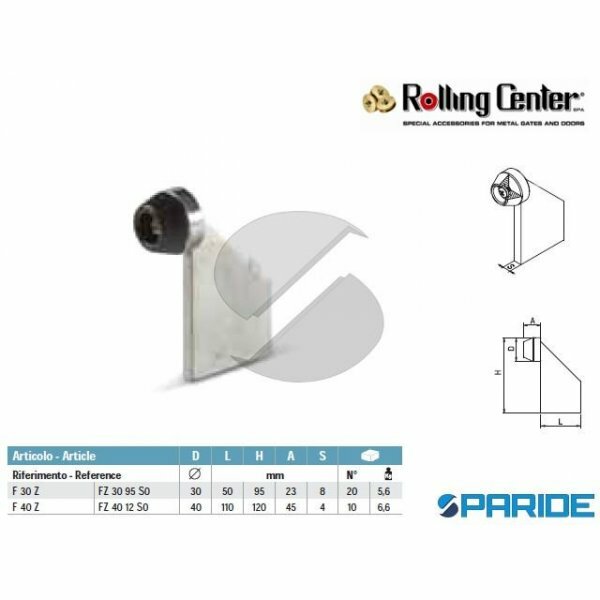 MISURE ASTA SUPERIORE 82 P PER PORTONE ROLLING CENTER: LUNGHEZZA 4800 MM, LARGHEZZA 30 MM, DIAMETRO 10,5 MM, SPESSORE 10 MM, ALTEZZA ..
CARDINE A SALDARE C24I INOX ROLLING CENTER. 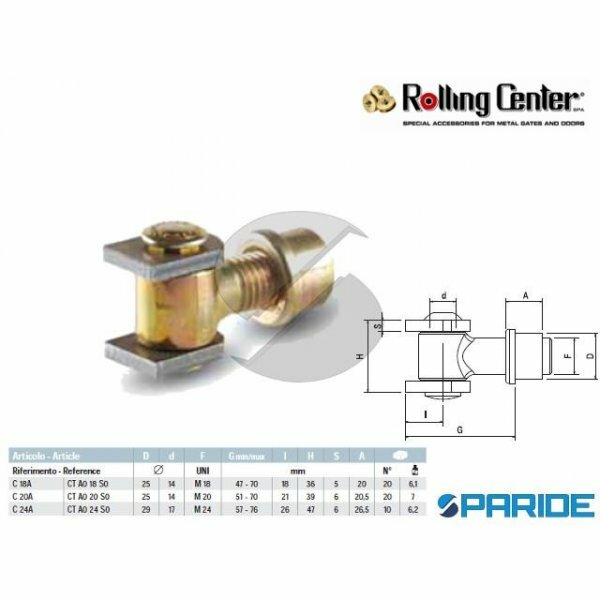 CARDINE A SALDARE ARTICOLO C24I ROLLING CENTER INOX PER CANCELLI IN FERRO, CORSA G DA 55 A 83 MM, ALTEZZA CARDINE 42,5 MM, DIAMETRO PERN..
CARDINE A SALDARE C30 FERRO BATTUTO ROLLING CENTER. 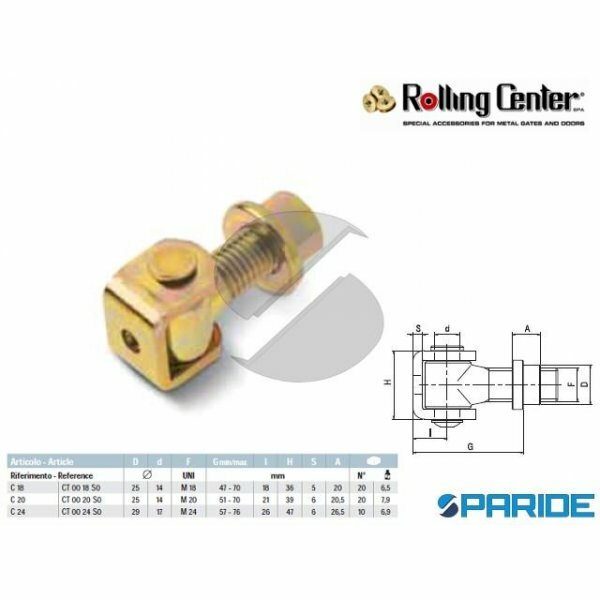 CARDINE C30 ROLLING CENTER PER CANCELLI IN FERRO A SALDARE CON CORSA G DA 44 MM A 68 MM, DIMENSIONE I 22 MM, SPESSORE 6 MM, ALTE..
CARDINE A SALDARE C35 FERRO BATTUTO ROLLING CENTER. 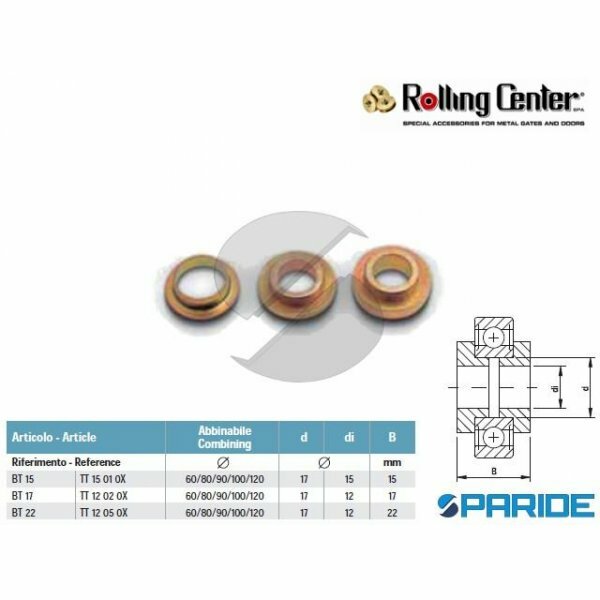 CARDINE C35 ROLLING CENTER PER CANCELLI IN FERRO A SALDARE CON CORSA G DA 50 MM A 74 MM, DIMENSIONE I 26 MM, SPESSORE 6 MM, ALTE..
CARDINE A SALDARE C40 FERRO BATTUTO ROLLING CENTER. 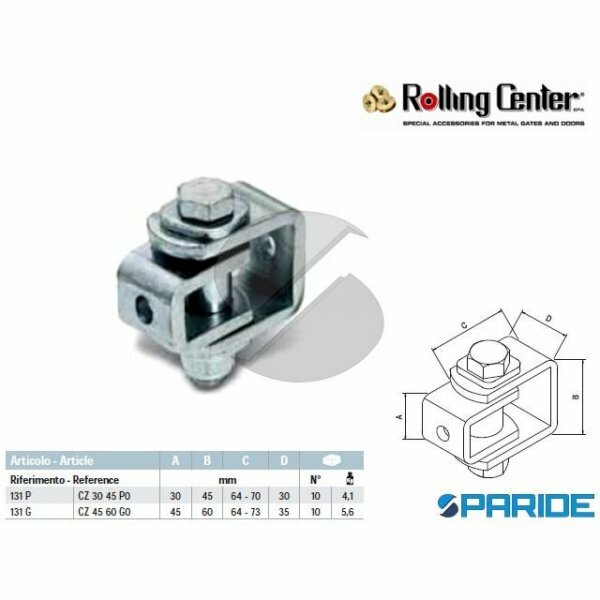 CARDINE C40 ROLLING CENTER PER CANCELLI IN FERRO A SALDARE CON CORSA G DA 70 MM A 110 MM, DIMENSIONE I 34 MM, SPESSORE 6 MM, ALT..